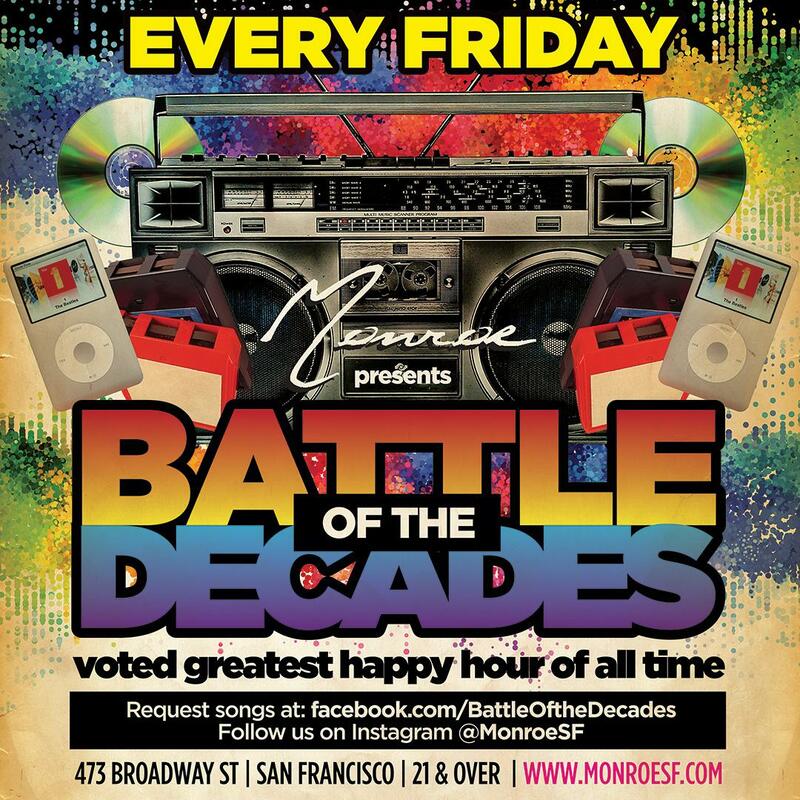 Every Friday Fly down memory lane while sipping on the happiest drink prices in SF! The earlier you get there, the cheaper the drinks. Booth Reservations: Battle of the Decades is perfect for team outings, company happy hours, birthdays or any special occasion. 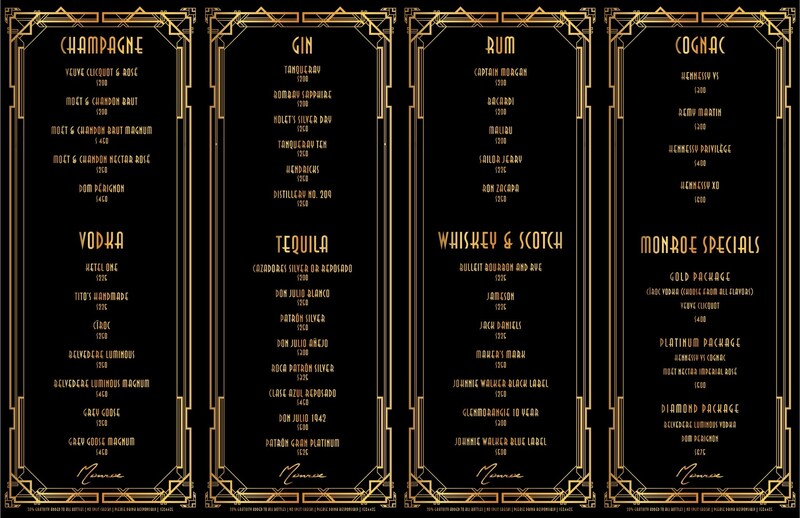 Drinks included in happy hour pricing: Well cocktails with Rum, Vodka, Tequila, Whiskey, Gin, and Beers like PBR, Rolling Rock, Miller High Life and Bud Light.